December 26, 2017 - Counseling Today: The People Whisperers. Follow the link to get an in-depth look at how animals can promote healing with commentary from Dr. Hallie. Read the article here. 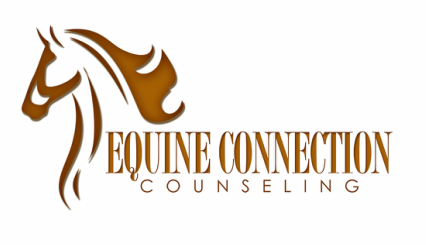 November 15, 2017 - Voyage Dallas: Meet Dr. Hallie Sheade of Equine Connection Counseling in Cleburne. Curious to learn more about Dr. Hallie and how ECC was started? Read the article here. November 10, 2017 - Fort Worth Business Press: Texas nonprofit offers mental health services using horses. Learn more about how S.T.E.P.S. With Horses (a 501(c)(3) nonprofit) is helping to expand ECC's work! Read the article here. Learn about ECC's work with our clients and about how we partner with former show horses in our work by clicking here. Read about University of North Texas is honoring veterans and raising awareness about PTSD and suicide. Read the article here. A detailing of how horses can help address a variety of mental health issues with comments by Hallie Sheade. Read the article here. A wonderful article discussing numerous ways that veterans are partnering with horses to promote healing with quotes from Hallie Sheade. Read the story here. Hallie Sheade discusses the utility of equine assisted counseling with veterans. World renowned expert in animal assisted therapy, Dr. Cynthia Chandler, contributes her thoughts on the benefits of animal assisted therapy. Marine veteran and Equine Specialist, Paul Ziehe, discusses how he thinks horses can benefit veterans. Read the full article here. June 27, 2014 - Counseling Today﻿ Interview with ECC founder, Hallie Sheade. Hallie Sheade shares her thoughts on treating PTSD in children and veterans by partnering with horses in an interview with the American Counseling Association's publication, Counseling Today. Click here to read the article. May 14, 2014 - ECC featured on the University of North Texas homepage. ECC founder, Hallie ﻿Sheade﻿, is conducting a research study through the University of North Texas to examine the effectiveness of equine assisted counseling in treating PTSD in military veterans. To learn more, click here to read the ﻿article﻿ in The North Texan.